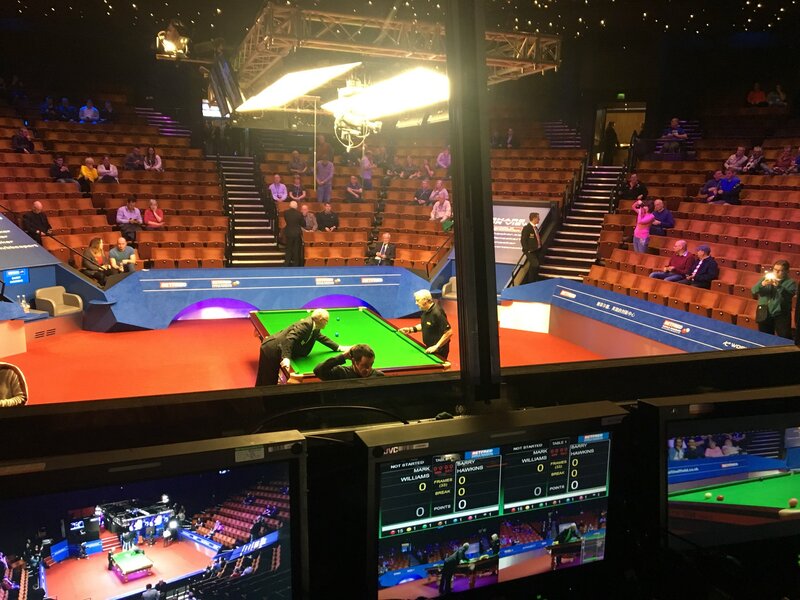 The first round at The Crucible is always a real buzz, it’s where the premise is set for the mood of the rest of the championship and where the stories are made, first time winners, shocks, impressive and shaky starts, we usually get them all and this year is no exception. It’s funny really, in that we seem to have completely changed the focus when it comes to the players that have come here through qualifying. In recent years, in fact every year since the format changed the talk has been about those arriving from the qualifiers being ‘dead men walking’, potters that were already potted out after the gruelling marathon of (then) Ponds Forge and now the EIS. But this year the message being peddled is a very different one. Tired? Burnt out? Not on your nellie, these qualifiers are primed to precision, they have spent the last week and a half harnessing their already razor sharp skills and winning those three matches. Coming here match fit is now the new burnt out. If we are to believe what we are being told it’s now the seeds who are at a huge disadvantage in Round 1, having had their feet up since Beijing, waiting to wallop a clapped out zombie in Round 1 only to be met by a potting machine. That’ll learn ’em. The players are clearly beginning to believe all this with one of them even saying that next year it might be an advantage not to be seeded. It just proves the old promotional message, say it loud enough and enough times and eventually people will believe it. Especially if you back it up with ‘evidence’, though if you dig deeper into the evidence it’s clear that the pattern of seeds v qualifiers these past few years has altered very little in terms of how many get through Round One and how many don’t. Anyway, it’s time to have a look at the second round, match by match. At time of writing the first round bets flagged up have gone extremely well and I hope this will continue as we move into the 3 session best of 25 framers. If you aren’t following me on Twitter you may have missed the specific daily bets that have been flying in, so sorry about that, but I have been telling you to do so now for quite a while. Hashtag Careless. So, who will be lining up in the quarter finals this year? Remember, for the head to heads just click on the match and be transported to the magical kingdom of Cue Tracker. Highly impressive form from both of these two in Round 1 with Joe schooling the World Champion and World Number 1 Selby and Allen keeping a dangerous Liam Highfield at arms length for the match entirety. In terms of scoring, Perry had the edge of the two in the opening round with Allen being solid enough but with a highest break of just 89. The head to heads between the pair are dead level and only a single frame seperates them in a total of 55 played, so you’d imagine that they will need more or less the full 25 quota to sort this one out. Perry to me looks very content with his form and is playing very ‘matter of factly’, with a way around the table that suggests he’s not really that arsed if he loses because he quite fancies a holiday. Allen on the other hand seems eager to prove that he can produce over the longer distances consistently and not just the short ones. The Masters Champion does have a little to prove at The Crucible as for a player as good as he is he has little to show here for his efforts, Perry has a better record at The Crucible and to me he looks quietly confident. There won’t be much in this but I’m going to just side with The Gent. Jamie Jones again came alive here in Round 1 and won another fantastic encounter with Shaun Murphy with heavy scoring and bottle in reserve. Kyren was a little more under the radar with his workmanlike performance against Matthew Stevens, this included a run of four frames in the middle of the match which basically got it won for him. He’s a bit like that Kyren, he tends to feel his way into a match and then all of a sudden flick a switch and start dominating, a very rare and advantageous quality to have. Jamie on the other hand is very much a maverick, you seem to live the match with him and feel how he is feeling which is probably why he has such a loyal and enthusiastic fanbase. They have never met over anything more than best of seven but Jamie will probably be glad this one is a lot longer as he’s lost 5 of their 6 previous encounters. My feeling on this match is that Kyren will not give Jamie anything like the chances that Shaun did. He plays a lot tighter a game than Murphy and is prepared to wait patiently for an opening and force his opponent to make errors. Jamie could well get a flyer and pick up where he left off but I have a feeling this match might be one in which Kyren wins or draws every session and rides out the match as one big one made up of three short ones. Hence the predicted scoreline. Jack at last seems to be producing what most of the living Western world knew he had in him on the big stage and his performance against Stuart Bingham not only demonstrated his ferocious potting and break building but also a cooler head when things get tight, which it goes without saying he is going to need here. The good thing about playing Higgins is that you know exactly what you are getting, the downside is that what you are getting can sometimes be impossible to match. He didn’t look quite at his best against Un-Nooh but once challenged he pulled out what was necessary. It goes without saying that Jack will need to be at his best to win here and even then that might not be enough, this is a huge test for him and if he can overcome it I think he’s a live contender to lift the trophy, he did also beat Higgins convincingly recently in China. It’s a real head versus heart this one, unfortunately for me this time, it has to be Higgins. Well, what can you say about Judd’s first match other than, you’re sooo Judd Trump? Looked for all the world to be coasting only to start playing like a man with no eyes and get pegged back, this time though he managed to win and avoid yet another roasting by snooker fans on social media, but is it simply a case of delaying the roast for another few days? Walden said he was happy with how he played in his opener but he was another who looked very edgy towards the end against Brecel, though he never really looked like losing. But for both of them this is a new day and if patterns are anything to go by this might again be a very tetchy affair. Judd holds the aces in the head to heads but for me a repeat of his previous match and he’ll be heading home, Walden too I think will need to step up a gear and try his best to boss this one from the start. But hey, whatever pattern the match takes it will still take winning and if it gets close I’d side with Ricky. McGill battled through and showed his fighting qualities at the end against Ryan Day, who was inexplicable awful in the second session and allowed the Scotsman back into it with very little resistance. Ding on the other hand dominated Xiao from the off and looks content and happy, his health concerns that plauged him during the UK and The Masters now seem like a distant memory and he is obviously a big contender again for the title. A bit like Judd, Anthony has already used his get out of jail card and you have to say that this match is probably a mountain too high for him, I expect Ding to win quite comfortably. Contrasting pathways here for these two. Its fair to say that if we take first round form at face value and apply it to this match then Lyu would ride out a comfortable winner. His scoring prowess against Marco was there for all to see and it isn’t clear how much of this was down to the fact that Fu was just not ready for the match and how much was Lyu believing that he can actually become an unlikely star here this year. Barry can console himself with the fact that things can only get better, if his tactic is to gradually build up to a peak at the business end of the championship he has started as planned as he was as poor as I’ve seen him in a long time in beating Carrington the other night in a match, shall we just say, that won’t be getting many repeat watchers on You Tube. In terms of head to heads and very much like when all the toilets were stolen from the local billiard hall, we have nothing to go on. Hawkins fans will just have to hope that the opening round was a blip and not an indicator of Barry’s form and that Lyu starts missing. Having backed Barry in the outrights I hope he wins but he will have to improve a lot and hope his opponent begins to feel the occasion. That’s enough to make me select the Chinese player, but I won’t be having a bet in this one. The walk-on tunes when these two walk out belong more at the British Legion than The Crucible but what follows will be every inch worthy of this great stage. MJW got the match won against Jimmy Robertson early and you could sense that he lacked a bit of motivation coming out to finish it off before he finally did and in some style. He proclaimed himself afterwards in the form of his life and who are we to disagree? Rob bossed Neil Robertson from the off in their match and Neil didn’t, it has to be said, put up a great deal of resistance, but that takes nothing away from Milkins achievement, like Jones he comes here and beats the same seed in the same round as he has done before. I think this one will probably go the same was as the match involving Jones in that Williams will win or tie each session, keeping the Gloucester man at arms length. Ooooohhhhh Ali, look at the head to heads….I know you don’t want to and I know you remember every match but it’s something we just can’t ignore. 14-0 including 4 times here, is it possible that it might, just be 15th time lucky? Once Ronnie woke up on Sunday and heard Selby had lost he decided he might as well come back and beat Maguire after all. Despite the early scare and misfiring rocket headlines on hold he came through in the end in an assured way and a way, I’d argue, that he hasn’t the last two years, looking focused and happy. He sat with the press for ages afterwards extolling the virtues of celery, plugging his book and claiming he will live until he’s 200. For his part, Ali showed all his famous battling qualities to come back from a 3-6 deficit to Dotty and overturned that particular Crucible hoodoo, so at least he can draw on the fact that he reversed historical form here in the last round. But to see anything other than an O’Sullivan win here would I think be me speaking as a mate of Ali’s rather than a blogger, I have to side with Ronnie to do for the sixteenth time, something he has done fifteen times before. Best of luck Cap. RECOMMENDED SECOND ROUND ACCA: Pays 13/2 at Marathonbet: Perry, Wilson, Higgins, Williams and O’Sullivan all to win. RECOMMENDED HANDICAP ACCA: Perry (+2.5), Wilson (-1.5), Higgins (-2.5), O’Sullivan (-4.5) pays over 9/2 at Bet 365. Some people call Christmas the most wonderful time of the year, someone even wrote a song to that effect. But loyal readers, let us all join hands, zip up our anoraks and get the soup in that thermos flask, for we all know better than that don’t we? Oh yes. The most wonderful time of the year is now, as we embark on the 17 day marathon to find our new world champion. What on this planet could be better than that? Case Closed Santa. We’ve got Snooker Loopy. The added spice this year comes from all angles. The reigning champion and winner for the past two years Mark Selby aims to become the first man this millenium to win 3 on the spin. Only Hendry and Davis have ever done it in the modern era and Selby is in with a real shout of adding his name to this elite list of great champions. His relatively poor season was forgotten and banished to the snooker scrapheap two weeks ago in Beijing as he retained his China Open title. He’s aiming, as he did last year, to win back to back rankers and make us all wonder what all the fuss was about. Can he be stopped over this tailor made longer format? Despite being defending champion and winning the last big title, he’s not the favourite this year with the bookies, which may surprise a few people, but only those with quite short memories. Ronnie O’Sullivan has been in magical form for the majority of the season, winning title after title, goading numpties and showing us all why he is still the main man to put bums on seats. His stamina over the 17 days is the main question mark for some doubters, but he’s won it 5 times before despite having a few dodgy years since the last time. For me he comes into this as sharp as he has ever been, if he can last the distance, he is surely the man they all have to beat, including long match specialist Selby. But it’s not just about these two. Two more of the old guard Mark Williams and John Higgins have again been lifting silverware this season, Williams’ form in particular has stood out recently and he has to have a big chance of a long overdue third title. Higgins ran out of whack last year in the final so that has to place a question mark over him, but how many times has he proved us wrong in the past? Ding Junhui again aims to be the first champion from China and shrug that particular monkey off his back and he is showing glimpses of a return to form, as is Aussie Neil Robertson who hopes to become snooker’s next multiple champion along with Stuart Bingham, who since his return to the game has been looking pretty good to me. Shaun Murphy, another looking to add to his single world crown, has been plagued by back and neck problems recently after a great spell of form at the beginning of the year. He was hammered in China the last time we saw him by Chris Wakelin, but he’s had time to rest and if he’s back to his best he is another big contender. Masters Champion Mark Allen who may face Selby in the second round has also been showing some of his best form this season, he is definitely a player overdue a big run here. Judd Trump will be looking to avenge his shock first round defeat last year and comes into this a bit under the radar, which may suit him. Kyren Wilson has got as close to Selby as anyone over the longer distance recently and is an outside fancy of many shrewdies. Back to form Barry Hawkins looks to shrug off the modern day Crucible Curse of a number six seed never winning the World Championship. Yes, all in all, there are many potential players that could upset the big two. What about the qualifiers? Can one of them achieve the impossible, or rather improbable dream after a gruelling week at the EIS? It’s yet to be done under the current qualifying structure but that doesn’t mean it can’t be. There are ranking event winners and a World Champion in amongst that lot too. The likes of Maguire, Day and Dott are the draws that most wanted to avoid, but there are many other dangerous names taking on the top sixteeners, some are saying it’s the strongest set of qualifiers ever this year, I wonder how many will make it through Round 1? So that’s the annual preamble, let’s now take a look in depth at the first round quarters. If you click on the match you will be magically transported to the Cue Tracker website where you can lose yourself in stats, including the head to head record between the two players in question, a true haven for snooker anoraks. Before I begin, anyone who likes to play snooker or is thinking of taking it up might also be interested in the links to John Parrott Cuesports in between quarters below, they are offering discounts on some of their hand picked products exclusively for all readers during the World Championship. 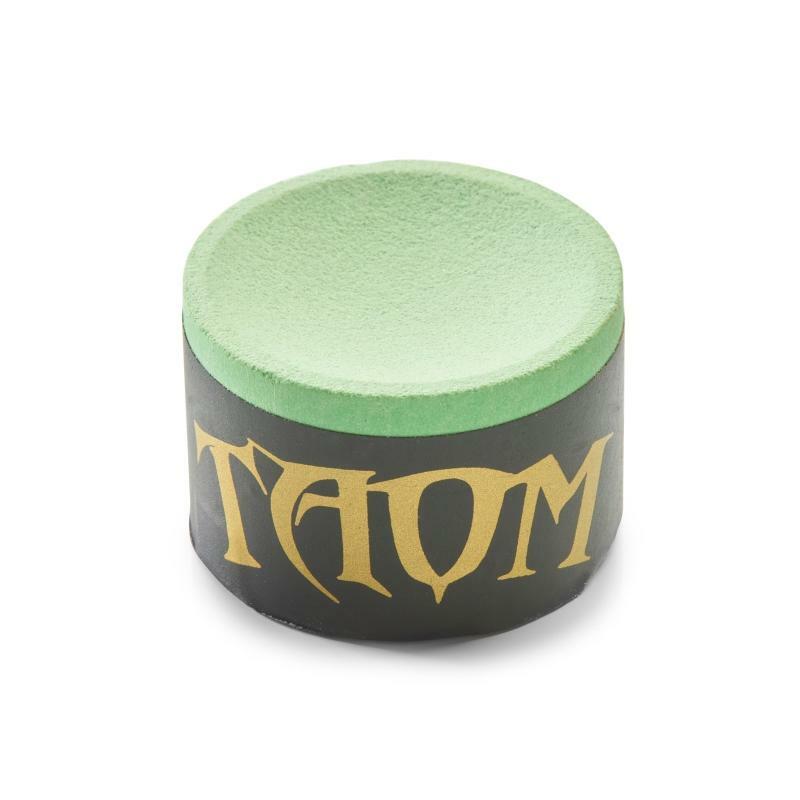 As well as the Taom chalk exclusive promotion here. Now then, what have we here….. The defending champion has drawn one of the toughest qualifiers in former semi-finalist Perry. After qualifying Joe seemed very balanced about the task ahead and claimed he didn’t care who he drew as his days of being a rabbit in the headlights at this place are long gone. So without a doubt this is an early test of the champion’s mettle and we’ll be able to gauge quite quickly here what shape his game and his mental state are in following China and going into yet another marathon. They have never met here but as recently as 2005 they actually met in the qualifiers, which Selby won 10-2, but since then if you exclude the minor contests their record has been remarkably even. I can see this being a late one on Saturday evening, with Selby just edging it in his customary granite style and giving himself most of the week off before coming back to grapple. His recent record in two session matches is really quite something, he hasn’t lost a two session match since September 2016 and has won all 13 he has played in since then. PREDICTION: Selby to win 10-8. One of the most improved players of the season in the lower ranks, Liam Highfield comes here for the first time in his career in very good form. It’s taken 8 years since the first meeting between this pair for them to come together again and it’s fair to say that this is mainly because they have been hanging around in different company rankingswise since. Masters Champion Allen scraped in to the 16th spot by the skin of his teeth and had to wait until late on in Beijing to find out if he’d have to go to the qualifiers having looked certain to do it without the agonising wait at one point against Williams over there. My guess is that he will be happy to have drawn a debutant, it should be an attacking affair this but in terms of scoring firepower I think there is a pretty big gap between them. PREDICTION: Allen to win 10-4. Like Selby and Perry, these two have met once before in the World Championship but again it wasn’t here, it was a qualifier which Kyren won back in 2016 to qualify for The Crucible. It sounds a bit weird this but I don’t think either of these two will mind this draw, I think they’ll both think they can beat each other so I reckon we’ll see them both bring something very close to their A game. Matthew of course is a Crucible veteran having been runner-up twice, he qualified with relative ease against Ken Doherty after having a deciding frame tussle in the previous round, but claimed after beating Ken that he was confident of winning as he’s playing too well at the moment and crucially for him, putting in the hours. Kyren is someone that I think has future champion written all over him and for me he’s the man, if anyone can, that could possibly stop Selby in this quarter, he’s got closer to him than anyone has recently over the longer distance and I think this tournament really suits his style of play and temperament, he’s in my outright book. PREDICTION: Wilson to win 10-6. One of a couple of question marks hanging over this match in terms of the player’s general health. Murphy had a great run earlier in the season but all of a sudden his back and neck started playing up and it’s clear that the recent trip to China was probably a bad idea. We’ve not heard anything since so we can possibly assume he’s back to fitness but on the other hand his silence may simply be because nothing has changed. It was six years ago now that Jamie came here, beat Shaun in the opening round and went on a run to the Quarter Finals. Lots of people expected him to kick on from that but he never really has. He made headlines by whitewashing Liang Wenbo in the qualifiers, as odd a result as this was he still played very well. I’m not confident in any prediction for this match but I think if a big seed is to topple in round one, it could be Murphy. PREDICTION: Jones to win 10-8. Another Crucible debutant in the form of the explosive Thepchaiya Un-Nooh takes on one of snooker’s best ever matchplayers on his first appearance here, so no big ask there then. The age old tale is that seeds are always happier playing someone who hasn’t played here before, but with Un-Nooh, I’m sure Higgins would rather have had someone he could boss from the off. The Thai player can reel off frames at a rate of knots and if, but it is a big if, if he takes to this place quickly he could be a real handful for John. Usually however when faced with a challenge Higgins rises to it and I’m sure he’ll take this in his stride even if he finds himself behind early on, slow and steady should win the race here I reckon. PREDICTION: Higgins to win 10-7. Can you imagine if Un-Nooh did win and Lisowski did too? Surely the quickest ever best of 25 frame match would follow in round two. 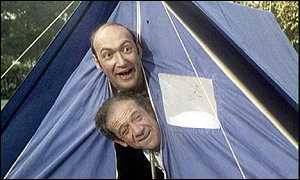 Anyway, this is a funny one, as before the draw was made I was going to flag up Stuart as a lively outside bet but now he’s got Jack I’m not going to. The reason being that I sense Jack is at last beginning to become the player he has always promised to be and I genuinely think he has a chance of at least winning this quarter if he keeps his composure this year. It’s 3-1 to Bingham in terms of the head to heads but I’d argue that since they last met Jack has improved quite a bit. He’s been here before, he gave a list of players he wanted to avoid after he qualified and Stuart wasn’t on it. If Bingham wins I’ll probably back him each way, but I’m going to take a punt on the lightning fast Lisowski turning up here and doing a job. PREDICTION: Lisowski to win 10-7. I’d argue that this is the draw that all the qualifiers wanted. Luca’s recent form has been woeful and this is a chance for Ricky to kick start his season right at the end. Ricky’s back problems have been well documented down the years and this season they have really affected his performances and results. As if that wasn’t bad enough he sounded pretty dreadful after qualifying and looked like he needed the weekend in bed, which he can now have. Quite what has happened to Luca is anyone’s guess, he’s been chopping and changing his cue, even turning up at The Masters with two, but I sense it’s more than that. Their three meaningful matches have all been won by Luca, but unless he has sorted out whatever has been bothering him recently, this is a different player to the one Ricky’s faced in the past and he is there for the taking. Ricky is a big price to win this quarter for any value seekers, he’s made the semi finals before. PREDICTION: Walden to win 10-5. An extremely impressive qualifier, Chris Wakelin is also stepping into the arena for the first time this year. Regular readers here will know that I really rate Chris and have done now for some time, he seems to have the right attitude to really progress at this game. However, just look at that head to head, this kind of thing can enter your head when you have failed so many times to beat the guy sat next to you. Especially when that guy is probably still fuming about losing here at this stage the previous year. As I said in the preamble, Judd may quite like not being talked about too widely as a possible winner and this may take the pressure off him in the short term, he’s got quite a decent draw and has a good chance of making the one table set up again. But for me he just still throws in the odd wobbly session and if you do that, this place tends to find you out. But I fancy him to win quite comfortably here. PREDICTION: Trump to win 10-4. PREDICTED QUARTER WINNER: Judd Trump. In a quirky twist of fate this section sees all four Chinese/Hong Kong players facing each other, giving the East a fighting chance of having a player in the business end of the tournament for the millions of viewers over there to watch. The Snooker Gods now appear to have viewing figures as part of their remit. Anyway, another Crucible journey begins for Ding, he must be sick to death of being reminded that he hasn’t won it but his performances here have improved these last two years, possibly because there are a few more Chinese players now sharing the publicity. But it’s still quite a low head count for China at The Crucible this year and the expectation fairly and squarely rests with him again. Xiao hasn’t really got anywhere near Ding in their last few meetings and nothing I saw in qualifying suggests that will change here. I think we’ll see a strong opening session from Ding and then a mini-comeback from Xiao before Ding finishes him off. Another qualifier that they all wanted to avoid here is Ryan Day, the man who narrowly missed out on an automatic spot lines up against McGill, who always seems to enjoy it here. This could easily be the other way around in terms of who is seed and who is qualifier and I think these two are pretty evenly matched these days. Both players that play something like their best at The Crucible, Day comes into this for the first time as a ranking event champion and seems to be oozing confidence. McGill hasn’t had a spectacular season but in amongst it there are whitewashes of Day and of John Higgins so he’s clearly not a player that can be taken lightly. I think a lot of people will go for Day in this and that will suit McGill down to the ground, I’m siding with the Scot to just nick it. The man outside of Selby with the most consistent recent Crucible record Barry Hawkins takes on Stuart Carrington who comes here for the third time trying to win his first match. Hawkins is fast adopting the label as a Crucible specialist and he showed some signs in China that once again this time of year is when he peaks. He’s had a bad season, but he’s had problems off the table which explain that. Now he seems back to his old self and perhaps the time he’s had away from the tour through lack of wins will mean he has more in the locker than last year when he disapppointed in his semi-final against Higgins. In this quarter I think you have to add Hawkins to your outright selection book, while Stuart has played very well to get here again, I just think in terms of a first round hoodoo, he’s not going to shake it off against a Crucible specialist like Barry. It’s another one of those head to head stats that you have to take into account when looking at this match up. Of the 5 times these two have met, MJW leads 5-0 and in terms of frames he holds a 25 frame advantage. Add to this that the Welshman comes into this third on the one year money list behind Ronnie and Selby and you have yourself what should be a first round banker (just like Judd last year, that went well). Jimmy again has been here before and is yet to win a match in three attempts, though he did give Mark Allen a good match here last year. Williams has rediscovered that taste for winning and despite his laid back public presence has been preparing hard for this, he knows that the years are running out but he’ll also know that this year represents his best chance to add that third title, his opening match shouldn’t really tax him too much. I fancy him to make a real push for a third title. PREDICTION: Williams to win 10-4. It’s five years since Rob Milkins came here at this stage and knocked out a heavily fancied Robertson 10-8 and now they are back to do it all over again. Since then Robbo has won the following four ties before The Milkman won their last one in 2017 in Northern Ireland. Rob was typically understated on qualification and basically said he only got through because his final opponent, Michael Holt, didn’t play very well. Like Lisowski, he has also drawn a player that wasn’t on his stated list of ones to avoid and I think he’ll be fairly happy with this seeing as he’s done it successfully before. Robbo eventually got back to trophy winning ways just before Christmas in Scotland and plenty thought that was a sign that he was back, but he’s remained trophyless since but climbed up the rankings and he has been looking sharper overall. I think contrary to their playing styles this one might be a bit of slog out, I think Robbo will want to keep it tight and if he does I think he’ll turn the scoreline from 5 years back on its head. PREDICTION: Robertson to win 10-8. It’s another Crucible rerun here on the same table that they played on at this very stage last season. I was sat in the press seats for the whole of that match and witnessed at first hand just how good Dott still is. He kept Ali at arms length following a 4-0 opening session and played some superb snooker. A few years earlier they also had an epic battle here which Graeme also won so will it be third time lucky for The Captain or business as usual for Dotty? In terms of their seasons Dott has had much the better one, he stands at 15th in the one year list with Ali down at 30. Recent form also suggests that Dott has the edge and there is a definite feel that this might be a repeat of what has gone before. But something is telling me that this time Carter will be ready for a battle, which perhaps last year took him a bit by surprise when he was playing catch up from the start. As ever with Ali though, if he wins, he probably won’t do it easily. PREDICTION: Carter to win 10-9. The scheduling of this match has thrown me a bit. The slots allocated are usually the domain of the 14th seed, but this time it’s Ronnie that competes with London Marathon coverage on Sunday morning on the BBC, perhaps in an attempt to get Eurosport figures up by Mr Hearn. Who can forget Ronnie lauding Mags up all those years ago as the next big thing, almost as an attempt perhaps to get some kind of psychological advantage over him. Well if it was that it’s worked, only once in the last decade has Maguire beaten Ronnie and even by Ronnie’s standards, his head to head dominance over the Scot is pretty conclusive. They have met at this stage twice before, though the last time was 13 years ago, Ronnie won both times. No reason to suspect he won’t do so again. PREDICTION: O’Sullivan to win 10-6. PREDICTED QUARTER WINNER: Mark Williams. PREVIOUSLY RECOMMENDED AND PLACED BETS: Each Way on Mark Williams @ 40/1 (January), Win on Mark Selby @ 11/2 (March), Each Way on Kyren Wilson @ 40/1 (March), Each Way on Jack Lisowski @ 175/1 (Wednesday, pre-draw). RECOMMENDED BET: Each Way on Barry Hawkins @ 28/1. RECOMMENDED FIRST ROUND ACCA: Pays over 5/2 at Marathon Bet – Mark Allen, John Higgins, Judd Trump, Barry Hawkins, Mark Williams and Ronnie O’Sullivan. DOUBLES AND A TREBLE: Treble pays over 19/1 at Betfair on Jamie Jones, Jack Lisowski and Anthony McGill. RECOMMENDED FIRST ROUND HANDICAP ACCA: Pays over 8/1 at Bet 365 – Perry (+4.5), O’Sullivan (-2.5), Dott (+2.5), Allen (-1.5), Williams (-2.5), Trump (-2.5). QUARTER BETTING: Ricky Walden to win Quarter 2 at 25/1. FURTHER BETS WILL BE ADDED IN THE RUN UP TO SATURDAY. 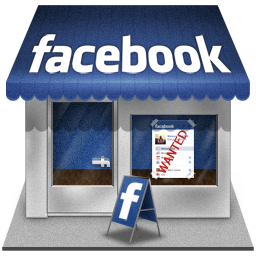 YOU CAN ALSO FOLLOW ME ON TWITTER HERE. After the excitement of the first two rounds it’s now time to sort the men from the boys, the wheat from the chaff, the wannabees from the gonnabies and find out which 16 players will be lining up to face the seeds at The Crucible in the draw at 10am on Thursday. It’s a cracking couple of days this and will hopefully make up for the terrible live streaming decisions that have been made this week, broadcasting processions on the whole rather than matches. Tuesday sees all 16 matches play their first nine frames and Wednesday sees all those matches culminating on Judgement Day. The action comes at you like a train and to help guide us through we have Neal Foulds and Rob Walker on hand flicking from table to table following the big stories and interviewing the 16 successful players afterwards. You would never have thought that two blokes sitting there talking about snooker could be so interesting, addictive and entertaining, but trust me, it is. You can watch this bit of the coverage live on the World Snooker Facebook page or their You Tube page. So without further ado, let’s have a look at the line up and if you click on the match it will take you to the existing head to head record between the two protagonists. The key to this match will be the opening few frames. Day needs to put early daylight between himself and Ebbo and not allow the vegan power to surface, if he fails, we may need a lorryload of organic carrots delivering to a Crucible dressing room pronto. 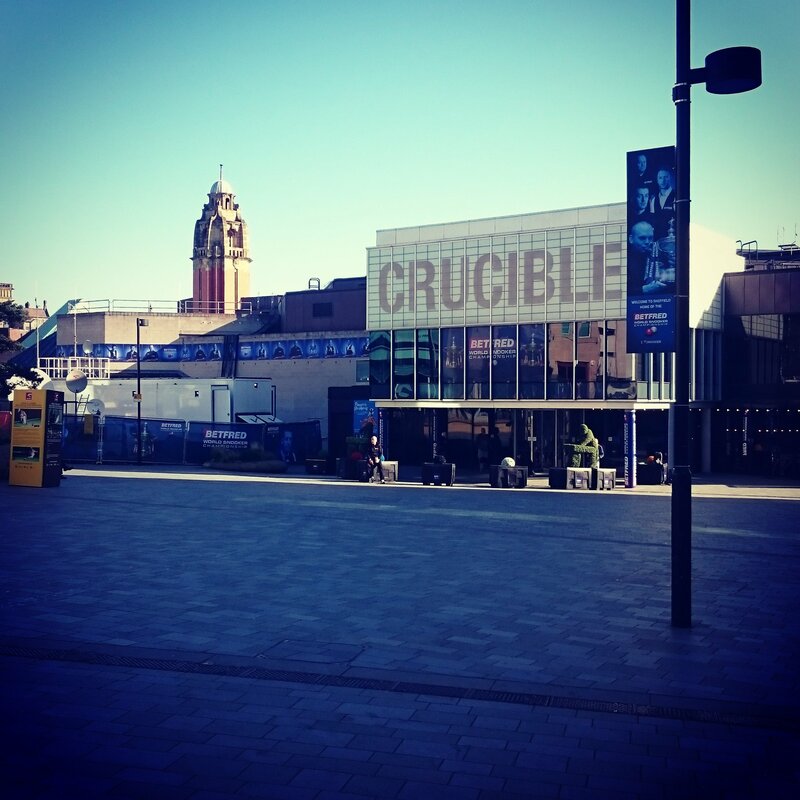 Who will be the Crucible debutant? They’ve played three times and Liam has won them all, he looked good against Tom Ford who afterwards told me he didn’t want to bump into me, the feeling is mutual. Dan’s improved all season, they both have, could get twitchy this one I reckon. Adam Duffy? What’s he still doing here? Sheffield’s finest offering since Jarvis Cocker has a point to prove against those Chinese players who keep coming over here, stealing out Star Tables in Vic’s Academy, Adam’s here for the Common People. Two with a Crucible past. Mighty Mouse Anda was there donkeys years ago against Hendry in one of the weirdest matches I have seen at the great place and he’s been back twice since, Carra has qualified twice in the last three years, Anda is scoring heavier and has had the easier path so for me it’s Return of the Mouse. 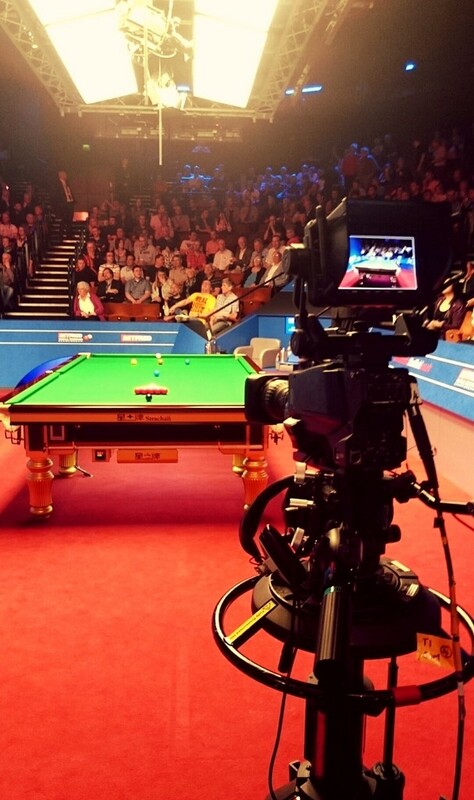 Paramedics are on call at The Crucible if Sicknote Mikey can prevail. Dotty the terrier will be hoping to bite Dunny where it hurts and stop that possible dream match up with MJW in Round 1 happening, the big party pooper. The Hitman and The Milkman are teammates in Team Baize Boys in our big prediction contest but my prediction here is plenty of emotion and no love lost on the table. These two wear their hearts on their sleeves, it’s been totes emosh and they haven’t even started yet. These two have never played each other before, so it’s young Lyu’s first trip to the dentist. Rory crawling through at his usual casual pace and Lyu doing a Lazarus on MO’D in the last round. Could be a slow one this and when it’s slow, Rory usually wins. Dr McLeod will see you now…. First met 22 years ago and head to heads are 9-9 with just one frame between them, how is that for evenly matched? We all want them both there but only one can do it……will it be waistcoat or regulation BBC V-Neck for The Darling of Dublin? Liang doesn’t belong here, he has the look of a lost puppy, abandoned by the litter and wondering how he’s landed in the rescue centre, he’s hitting maximums for fun and even missing the last black, because he can. JJ has Crucible previous but can he stop the speedy break building firecracker from catapulting himself to the Last 32? Nah. Angles and Jack go head to head. Is it a bird? Is it a plane? No it’s Super Jack. 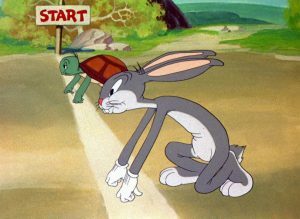 A real tortoise and the hare job this one and we all know who won there, but Jacko looks to have Crucible tattooed on his forehead this week, but it’s probably spelt Crbl because this boy doesn’t sit still for long. Angles has his work cut out here, the wily old weasal will need all his angular dexterity to come through this one. Good mates but that counts for nothing. Ricky’s bad back is holding up and he’s wanting to make up for a bad season. Can the man without a satisfactory nickname do it? Still reckon he should go with ‘The Cat’, I ain’t seen no man prowl around the table like our Rickster. Another old pals act here. Mavis has become allergic to losing frames, Joe broke the hearts of Jimmy fans by sending The Wind packing. Can The Gentleman be the man to give Mave a taste of his own medicine? If Mave wins and loses 5 frames or less the anoraks will have the record books out and be taking the Mavis Express to The Crucible. No Crucible debutant this year you say? Not on your nellie – two at least. These two boys are looking to tread the hallowed turf for the very first time. Can my lucky charm Wakey show Pengy the Exit Door? I really wanna say yes Chris, but….. Roll out the barrel, jelly up the eels, put on yer hobnail boots and let’s all get raand the ole joanna for a knees up. The AB of London Town is staying on tour and what a way to finish his season in style a Crucible Fairytale would be. But Theppy is finding his potting boots, it’s a real shootout this one, leave it before someone gets hurt. Mikey has lost 17 frames this week and his highest break is 77 but somehow he’s still here, Robs is scoring for fun. On the showing this week so far there’s only one way this is going. At least there might be one Jimmy at The Crucible. Choose Snooker. Choose a live streamed match. Choose Cuebangs. Choose Pulling a Stroke. Choose Mags. Choose Hoss. Choose Handbags at Dawn. Choose Life. So it is upon us. While Joe Public at large might think the World Snooker Championship doesn’t start for a couple of weeks, we know better. The World Championship Qualifiers get under way on Wednesday and I can’t bloody well wait. 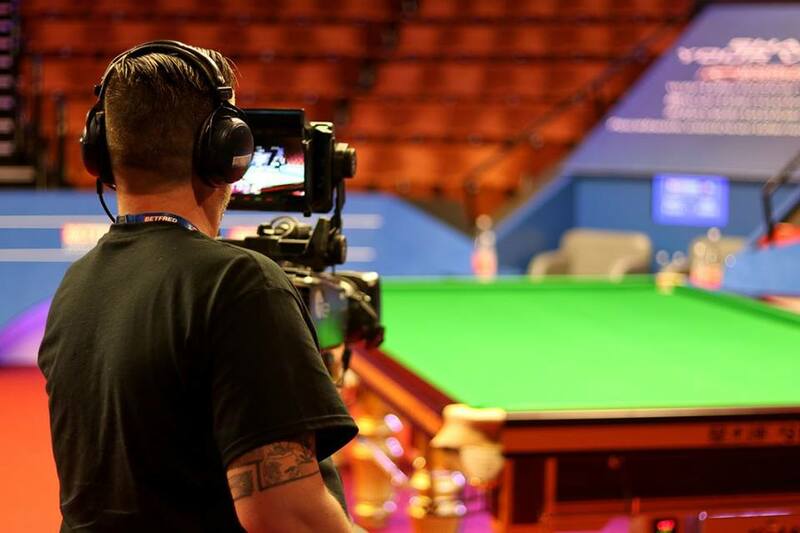 The qualifiers have a new home this year as snooker returns to the English Institute of Sport in Sheffield. It’s proved a popular move with the players and seems generally more adaptable to such a prestigious event than the more central Ponds Forge. Fans have mixed feelings but at the end of the day the players should be playing in the best possible surroundings given what’s at stake here. As ever, fates will be decided over the coming week, not only of the 16 players destined for the hallowed turf of The Crucible but also in terms of tour survival and relegation, so this truly is a test of everyone’s mettle as absolutely every player there has something to play for. You should think of these as 16 mini-tournaments within one big one, each consisting of eight players, with four quarter finals, two semi finals and a final in each section, whittling down the 128 players, including 15 invited amateurs to the 16 that will walk out at The Crucible in a couple of weeks time to face one of the seeded players. I’m not going over the top when I say that I think this event as a stand alone is as exciting and addictive as any of the majors. OK, the biggest names in the sport aren’t there, but everyone else is and every year without fail a big story emerges from these qualifiers. If you have never thought about getting involved with them before, I strongly advise that you give it a go, whether just watching the stream, joining in the fun on social media, or even going along there yourself, you won’t regret it. The coverage on Eurosport Player culminates with Judgement Day next Wednesday, when all the final sessions of the last 16 matches are played. Think ‘Soccer Saturday’ with more balls. You’ll never look at snooker the same again after watching it, trust me. 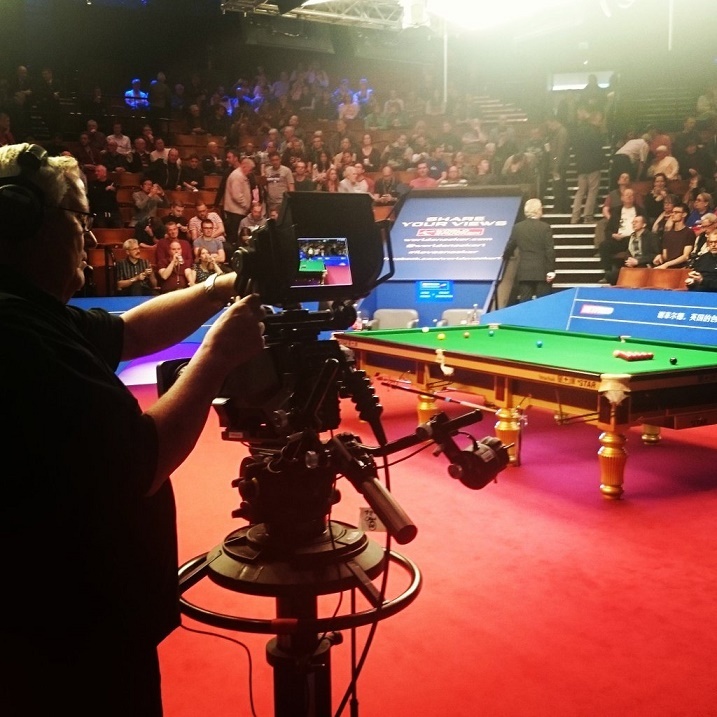 You can watch this bit of the coverage live on the World Snooker Facebook page. Can you tell I’m getting a bit too excited? The sections are detailed below, along with some thoughts on who I think stands the best chance of making it through. I’ll post match bets throughout the event on Twitter. One of the top players of the back end of this season Ryan Day finds himself in the qualifiers following his careless early exit in the China Open qualifiers which had they been played a bit later he’d probably have coasted through. He faces Brazil’s Igor Figueiredo in his opener and I don’t think he’ll be overly concerned there. He does face a difficult match next up against either Mitchell Mann or Peter Lines, Mitchell desperately needs a run in this to keep his tour card and he did make the main venue two seasons ago so knows how it’s done. 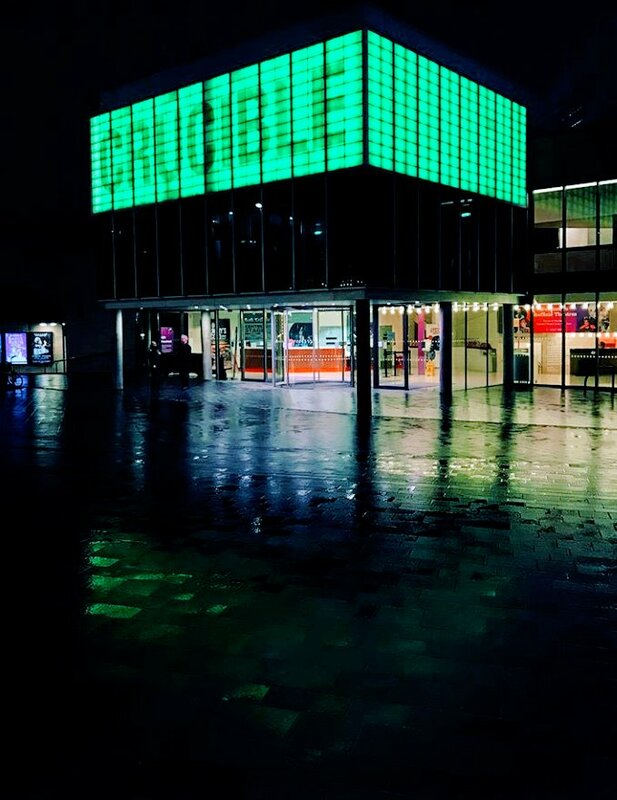 Robbie Williams will be gutted that this isn’t at Ponds Forge as he was near on unbeatable there and he faces the improving Jak Jones whose one year ranking looks like being enough for him to remain on tour. Lurking at the bottom is former World Champion and current carrot cruncher Peter Ebdon who tends to turn up for this, I fancy him to beat Wattana. Overall though you have to fancy Day to qualify with his recent form but if he has to get over Ebdon to do so all it will take is Peter to get under his skin a bit for the doubts to creep in, I think Day will need to put distance between them early on in the match if it happens. Predicted Crucible Qualifier: Day to beat Ebdon on Judgement Day. Dennis likes to call him Ghou Yolonge but everyone else calls him by his name, Zhou Yuelong. He qualified for The Crucible last year and gave a good account of himself then against national hero Ding. He’ll fancy his chances of making it to Judgement Day though Welshman Daniel Wells might have something to say about that, Dan has played solidly all season and will be remaining on the tour as things stand as a result of his higher ranking. Despite having his appendix out just before the event Tom Ford was in great form in Beijing and looks to be peaking at the right time, unlike his appendix, he’ll fancy his chances here too. One player I think is quietly improving is Liam Highfield and I wouldn’t be a bit surprised to see him have a say in this section, he has beaten his opponent here Chen Zhe on their only meeting to date and holds the same record against Ford. But on balance I am going to stick with the promising Chinese player here. Predicted Crucible Qualifier: Zhou to beat Highfield on Judgement Day. Marmite Matt Selt takes on Ladies World Champion Ng On-Yee in the opener and should progress to a tie with Mark Joyce to decide the top half of this section, Joyce and Selt are pretty evenly matched and despite the presence of Xiao Guodong in the bottom half, who you’d have to say looks a shoo-in for Judgement Day, I’d say that the winner of that one would be my favourite to qualify from this section. Trouble is that I find the Selt/Joyce match up should it happen impossible to predict. I’ll take a punt on Marmite and then take him to finish the job to the delight of his adoring fan. Predicted Crucible Qualifier: Selt to beat Xiao on Judgement Day. An interesting section here with three players in Gould, Woollaston and to a lesser extent Carrington who we’ve come to expect at the big events, so at least two of them won’t be there this time. Nigel Bond is always a tricky player to evaluate but even if he manages to beat Carrington first up I’d be surprised if he went much further as he struggles to follow a good result with another one these days. The presence of the two Zhang’s doesn’t really enter the equation for me with neither of them members of the stronger Chinese contingent so it’s just a case of Gould against either Carrington or Woollaston for a Crucible spot. Whoever he plays, I think I’d side with Gould. Predicted Crucible Qualifier: Gould to beat Woollaston on Judgement Day. Predicted Crucible Qualifier: Dott to beat Jones on Judgement Day. I think you have to fancy the higher seeded player (the one on the left) in all these ties which include the newly crowned World Seniors Champion Aaron Canavan who will be playing his first ever match in a professional tournament. Milkins beat Donaldson at the last 80 stage a couple of years ago so will fancy his chances of making Judgement Day to face Holt or Slessor, a match which could go very close. Holt holds the head to head advantage over Elliot but the Geordie lad is flying high at the moment following a strong performance beating Ronnie O’Sullivan in Beijing. I’m going to take a punt that this section can throw up a shock and produce a Crucible new boy. Predicted Crucible Qualifier: Slessor to beat Milkins on Judgement Day. A fiercely competitive section this and you could realistically make a case for all of them. Judd’s conqueror last year Rory has a tough opener against Ian Burns and the match below is no easier to predict with the improving Ashley Hugill up against Li Hang. Anthony Hamilton hasn’t been doing much lately which may or may not mean his back is playing up again, either way he’s got a toughie first up against my pal Martin O’Donnell. But my fancy in this section is Lyu Haotian who has shown great improvement this season and is very nearly into the top 64 just on his one season earnings. For me he is the man to beat here. Predicted Crucible Qualifier: Lyu to beat Li on Judgement Day. A section filled with familiar faces this one, Matthew, Fergal, Ken and The MK Don aka The KDog aka Kojak all looking to finish their season on a high at The Crucible, in Ken’s case in a waistcoat rather than a BBC regulation V-Neck sweater. You’d fancy them all to make their respective semi-finals against opponents they’ll be expecting to beat and then it’s a real dog eat dog slugout for the place. Out of the four, King has been playing the best stuff all season so I’d expect him to edge out Ken before becoming even more popular in Ireland and beating Fergal too possibly into the wee small hours of Judgement Night. It would be nice to have him back at the main venue. Predicted Crucible Qualifier: King to beat O’Brien on Judgement Night. I can’t see any reason why Liang Wenbo won’t be lining up on Judgement Day to make a push for The Crucible. Rod Lawler looks totally devoid of confidence lately so I expect Liang to coast through there and follow this up with another comfortable win in the next round. In the bottom section you’d be looking towards Jamie Jones to come through but Yu Delu can’t be taken for granted and has quietly climbed the rankings this year, he could be the dark horse here in my book. Delu has also beaten Liang on their previous three meetings so I’m going to take a punt on an upset in this section. Predicted Crucible Qualifier: Yu to beat Liang on Judgement Day. Jack Lisowski played really well over in China and you have to say from 4-0 up on Kyren Wilson in the Quarter Finals he should really have tied it up, but as we’ve seen time and again with him he never quite manages to fulfil his undoubted potential when it matters most. Here though for me he’s unstoppable in the top half and will most likely face Alan McManus to qualify. Angles missed out on The Crucible last season following his semi-final heroics the year before and I think he might just fall short again here. I wouldn’t be a bit surprised if Lisowski was the first name of this particular session going into the Crucible Top Hat. Predicted Crucible Qualifier: Lisowski to beat McManus on Judgement Day. A few familiar names here with the likes of Walden, Higginson, Hull and Swail all in the mix, but for me here the stand out favourite has to be Cao Yupeng. Cao is almost Selby-esque around the table these days in the way he plays, not quite as good obviously but to me it’s clear he is modelling himself on all things Jester and the results are beginning to come with it. Ricky has struggled all season with injury and although he’s getting a bit of form back he’s not the player he was a couple of seasons ago and three best of nineteens is going to test anyone’s resolve, he may not even make it past Swail if Joe is on song. This section for me has to be all about Yupeng. 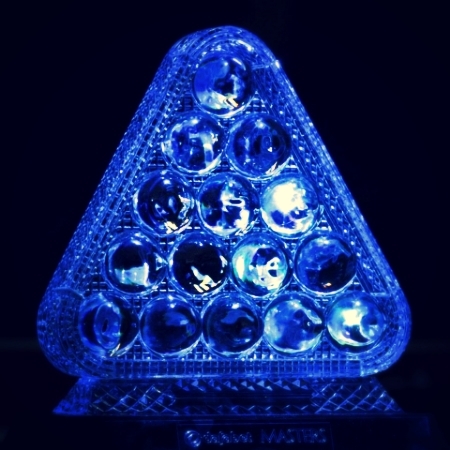 Predicted Crucible Qualifier: Cao to beat Swail on Judgement Day. Jimmy White sets out again on an unlikely journey to The Crucible and faces Snookerbacker Classic Champion Sam Craigie first up, Sam won praise from Neil Robertson last week in China for a brilliant performance and I’d fancy him to send the Whirlwind home there and then line up against Joe Perry. In the top half Dark Mavis will fancy his chances but he’s not really done anything of note this season and it wouldn’t be the greatest of shocks if he didn’t make Judgement Day with Shootout champion Georgiou possibly the most likely to stop him. For me though the key match here to decide the winner will be Craigie against Perry, Sam to me looks like he’s ready to make a really big impact soon and where better to start than here. Predicted Crucible Qualifier: Craigie to beat Mavis on Judgement Day. Yan Bingtao was already being touted as the main danger man for the seeds even before the draw was made but even though he’s making giant strides, it would be a mistake to assume he will coast through this as a result. That said he’s not got a bad draw though Jackson Page is probably not far behind him in the way he’s progressing at such a young age, though he looks about 25. In the bottom section I have to stick with my lucky charm Chris Wakelin, whenever I back him he wins, in that way he’s kind of the opposite of Dominic Dale for me. But I’ll stop short of saying that he can stop Bingtao, this kid is pretty special, look out seeds. Predicted Crucible Qualifier: Yan to beat Wakelin on Judgement Day. Long time professional Alfie Burden faces an uncertain future and needs a couple of wins here to secure his tour card without the need to travel to Q-School, but you’d expect him to chalk up at least one before taking on Castle or Gilbert. I was really impressed with Billy Joe at the start of the season but I’ve not seen much of him since, same with Ursenbacher who looked to have come on in leaps and bounds earlier on and since then has fallen away a bit. Talking of falling away, Thepchaiya Un-Nooh has plummeted down to nearly 60th in the rankings which is quite a shock given how well he has played the last couple of seasons. To me however the winner of this section lies elsewhere in the consistent and solid Gary Wilson who remember last year qualified and gave O’Sullivan a bit of a headache. Predicted Crucible Qualifier: Wilson to beat Gilbert on Judgement Day. Michael White could have been handed a tougher section it has to be said and looking at this I’d be surprised if he doesn’t make the final round. In the top half the unpredictable Sam Baird faces a tough opener against Vahedi who has proved himself very capable this season, but I’d not take him to stop Sussex boy Jimmy Robertson from joining the Welshman for a Judgement Day showdown. There is nothing in their head to head so if this match up does happen I can see it being a very tight encounter, perhaps even a Judgement Day decider. Predicted Crucible Qualifier: Robertson to beat White in a Judgement Day thriller. The obvious name that leaps out here is Stephen Maguire, too good to be in the qualifiers but results don’t lie and he’s there to slog it out with all the numpties. It’s a bummer of a draw again for Allan Taylor who always seems to draw a big name early on lately and only a very brave man would back against Maguire careering to Judgement Day in this section. Up at the top Jamie Cope returns as an amateur but faces the dangerous Hossein Vafaei who I’d expect to come through to face Mags at the end. There will be plenty who will fancy an upset there but I’ll keep faith with the Scotsman, if Maguire faces anyone but Vafaei in his last match I think he’s a Crucible certainty but with Vafaei, he’ll still have a bit of work to do. Predicted Crucible Qualifier: Maguire to beat Vafaei on Judgement Day. Fourfold on Dott, Lisowski, Gould and Bingtao pays nearly 8/1 with Black Type. Yankee on Yupeng 7/4, Gary Wilson 7/4, Yuelong 7/4 and Haotian 11/4 with Black Type. Doubles on Craigie 7/1, Selt 10/3, Slessor 5/1, Delu 4/1 with Black Type. Single on 5 Chinese Qualifiers at 4/1 with Black Type. One for the Big Punters – Over 3 Chinese Qualifiers at 4/5 with Black Type. 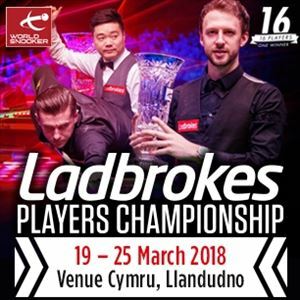 FIRST ROUND MATCH ACCUMULATOR pays 11/2 with Black Type – Woollaston, Joyce, Carrington, Haotian, Yupeng, Doherty, Burden, Maflin, Robbie Williams, Yuelong and McManus. FIRST ROUND MINI-SESSION BET all to be leading after 4 frames Dott, Lisowski, Wilson and Stevens pays 9/2, add Milkins pays 11/2 at Bet 365. It’s been an enjoyable week of snooker in the seaside town of Llandudno in Wales which has benefited hugely from the longer match format. What we are left with is a pulsating Friday night classic semi final between Number 1 seed Ronnie O’Sullivan and a rejuvenated Judd Trump, followed by the home favourite Mark Williams taking on either Shaun Murphy or Anthony McGill tomorrow night. For all his faults, Judd Trump has as good a record against Ronnie as any top player and has earned the right to have a crack at him here with a very solid performance at the end against Maguire and an absolute butchering of Neil Robertson, including ‘that’ Alex Higgins exhibition blue. Ronnie was workmanlike but brilliant tactically against Dotty and made 4 tons against Ding, so he’s struggling as usual. This is set up to electrify Friday night and I hope they both bring their A game with them and don’t let us down. Ronnie gave Judd a lesson in their most recent meeting, the final in Shanghai back in November and very little has changed in his form since then, except perhaps that he’s playing even better. So the question is, has Judd’s form improved enough to get anywhere near him tonight? He’s making confident noises but he’s got to back this up with action and any sign of weakness or recklessness tonight will surely be pounced upon by a determined Rocket. All being equal I think I’d back Judd to beat anyone else tonight, but not Ronnie. Judd will have to come into this and finish with a pot and safety success both in the high nineties and over eleven frames I just can’t see that happening, but I do think given his form this week that the century bet below is well worth a bet, particularly if you think it will be closer than I do. Recommended Bet: O’Sullivan (-1.5 frames) at 4/5 and Judd to make at least one century at 5/6. Now that we know Ronnie is awaiting the winner, tonight’s clash represents an opportunity for Mark Williams to join The Rocket in their first main tour final for 18 years. You have to go all the way back to the China Open in 2000 for the last time the two reached the business end together in a ranking event and to think that almost two decades later they might still do it all again is quite amazing really. Williams is still in top top form and despite a late rattle from Ryan Day in the last round he’d all but won the match in the first hour. Murphy was a little less impressive in his victory over McGill and they seem to be milking this back injury for all it’s worth despite the fact that he keeps winning. The vast majority of their head to heads have been in minor events and they have only met over this distance or longer twice, Williams winning both times. I think most snooker fans would like to see MJW and Ronnie lock horns on Sunday and I’m included in that, but you have to bet with your head so I’m not having a bet here because this is really a coin toss, but gun to head, I think Williams will deliver and give the fans the final they want. A real belter to kick off the quarter finals on Wednesday evening between two players who look to be peaking at just the right time in the season. That first sentence applies more to Ding, who had a few very barren months and now seems to be coming out of them, whilst Ronnie has been the only player on the tour this season to maintain such a high level of play almost without exception. His application against Graeme Dott had the wee man in bits and as well as his legendary heavy scoring his safety play was probably at the best it’s ever been, he really now must be considered a justified strong favourite for Sheffield in my opinion. Ding benefitted from an out of sorts Mark Allen but looked razor sharp in the balls as he always does at his best, he’s strangely robotic when he’s around the business end of the table yet remains great to watch. It was of course Ding who ended Ronnie’s latest World Championship quest last season but since then Ronald handed out a right old pasting in the World Grand Prix final last month. Ronnie has walloped Ding a few times down the years whereas Ding’s wins tend to be tighter affairs and I think that’s the question tonight, will Ronnie win in a canter or will Ding scrape home? For me, it has to be the former. Two stablemates from Grove Snooker (a personal favourite of mine) lock horns on Thursday afternoon and Judd will be buoyed by his win over Maguire in Round 1. All too often he starts like an express train and finishes like a clapped out National Express coach but this time despite the customary lull after firing on all cylinders he kept his head and finished the job, when I personally thought at 4-4 Maguire would win. Robbo gave Luca Brecel the expected hiding after sharing the first four frames and is looking something like the player of old again. Their head to heads are incredibly close, just one frame in it from a total of 217 competitive frames played and dead level in matches though this of course includes quite a few very minor comps. If we look at ones over meaningful distances Judd has had the better of those recently and to me he looks pretty sharp this week and I think Robbo is an opponent he enjoys playing so I’m going to stick with him to set up a semi-final with O’Sullivan on Friday. Both came through a different type of pain barrier in Round 1 with Shaun overcoming his ongoing back and neck problem and Ants dispensing with Higgins, who to be fair was beginning to become a bit of a pain in the arse to him. The 6-0 whitewash was something only Nostradamus could have seen coming and took us all by surprise and McGill I’m sure would have had to pinch himself to check it was really happening. In 2016 McGill famously took out Murphy at The Crucible first round having lost to him in the Quarter Finals the year before but it’s been a disappointing season really so far for the Scot who has blown a bit hot and cold and really struggled for consistency, though it has to be said that being drawn against Higgins a lot hasn’t helped. Maybe the win will give him that boost he needs to get back to the top of his game but to me Murphy looked sharp in his opener and I’d be surprised if he didn’t carry that form with him here. They’ll be singing in the valleys whoever wins here as two of snooker’s form players try and secure the title of Prince of Wales in their homeland. Day is a revelation recently, I don’t know what this cue he’s found is made of but I wouldn’t mind a bit of it. The winning way is with him and he’s only 3 matches away from winning 3 titles on the bounce on the main tour, Ryan Day….yes, THAT Ryan Day. While he was busy sending the world champion packing his Welsh comrade was putting paid to the new Chinese sensation Yan in convincing fashion. They have met four times this season so far and it’s two apiece and this one could be their decider seeing as Day misses China and all that’s left after that is a possible Crucible clash. Incredibly, Day still needs wins to be sure of his Crucible place given his careless non-qualification for the China Open and whatever happens here it’s out of his hands after this. I think MJW will win and leave Ryan with an agonising wait to see if he’s heading straight to snooker’s mecca or a few miles down the road to the EIS with all the numpties in April. 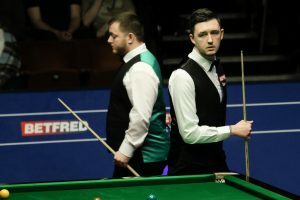 A new name will be inscribed in Masters history today as two first time finalists compete to win arguably snooker’s second biggest honour and become The Master for 2018, unlikely finalists Mark Allen and Kyren Wilson meet over the best of nineteen frames in what could be a real corker of a conclusion to a fine week of action in London. Kyren’s comeback yesterday, snatching the final four frames against Judd Trump was the stuff of dreams. He’s definitely saving his best for the latter part of the week having come through his first two matches in less than heavy scoring mode, against opponents who didn’t really bring their top games to the venue. This is in stark contrast to his opponent who is making a habit of one visit frame wins, knocking out Luca ‘Two Cues’ Brecel, Ronnie O’Sullivan and last night, John Higgins. Allen understandably starts favourite given his negotiation of a tough path to this final and his greater experience of the big occasions, but looking at the head to heads, a very strong case can be made for Kyren. If you discard, which you should, the Championship League match ups and to a lesser extent those tedious best of seven comps, we find that once again, it is Kyren who has the upper hand when these two lock horns. Wins in Shanghai on the way to his only title to date, in the semi-finals of the World Open a few months ago as well as a Crucible win in 2016 over the Northern Ireland man will no doubt be mentioned by him in his pre-match interviews. I’m not sure if it’s a deliberate tactic to remind his opponents of these matches or some kind of personal mental preparation for himself, but it’s definitely noticeable to me that Kyren likes people to know when he’s had the upper hand in the past and today presents him with another opportunity to do this, as he has also had with Judd and Mark Williams. He stops just short of putting their head to heads on the back of his waistcoat, but he does everything else he possibly can to remind his opponents and remind them again that he’s not there just to make up the numbers. Allen on the other hand has been very laid back this week and is simply saying he’s been working very hard and is extremely happy with his game, which shows every time he comes to the table. He may not be the most orthodox player the world has ever seen but it’s pretty effective. I’m not going to recommend a bet on this one as I think it’s going to be great to watch regardless of whether you taint it with a bet. They are both really decent blokes and I’ll be delighted for whoever wins. Gun to head I’d go with Allen to edge it, possibly 10-7, but you really can’t discount another Warrior-like performance from possibly the most unlikely would-be champion in recent memory. After an eventful first round at Alexandra Palace it’s now time to turn our attention to the Quarter Finals played over the best of eleven frames on Thursday and Friday. The betting so far has been almost Nostradamus-esque so let’s see if we can keep the good run going. I hope some of you followed the advice and made a few quid out of the first round. The matches are listed below in the order that they are being played and if you click on the match it will take you to the head to head record between the two protagonists. The Superlative Police were out in force for Ronnie after his dazzling display against Marco Fu. John Parrott’s eyebrows were arched to their ultimate peak and even Stephen Hendry smiled at one point, that’s how good it was. Here he’s back at his favourite stomping ground to take on Mark Allen who lost to him over this distance recently at the Champion of Champions. Allen hasn’t beaten Ronnie since 2011 but it’s quite strange given their stature in the game that they haven’t played each other more often. It goes without saying that if Ronnie plays like he did against Marco, then nobody is going to stop him this week, but if he’s a little out of kilter I’d say Allen is the sort of player that could put up a decent fight. Allen himself took care of an under par Luca Brecel in the first round and looked pretty good but this is a whole different bag of onions. Despite the fact that Ronnie’s low on magnesium and seeing double, only a very brave punter would lay a penny against him here. He shows no signs of letting anyone get close to him so I’ll go for a repeat of their match in Coventry. Despite the excitement generated by Ronnie, the resurgent Mark Williams was the star of Round 1 for me. He was on the verge of a 6-3 defeat against Selby and showed incredible composure to get himself back in it and win a decider. The way he is around the table at the moment reminds me of him at his very best and when he is playing like that I’d argue he is as good to watch as Ronnie is. However, in their only two meaningful battles, MJW is yet to beat his opponent here Kyren, but it has to be said that they are not comparable to this match which is by far and away their biggest duel to date. Kyren played well against Barry Hawkins but didn’t impress as much as Williams did, especially towards the end of the match when it got a bit tense and a repeat of that if this goes close won’t be good for him. For me, Williams in this form is a must back until he shows signs of it beginning to fade, he’s working hard away from the event, putting in hours of practice befitting of a mustard keen junior player and his appetite for the game is almost now rivalling his appetite for a cheeky Nando’s. I’m 100% in the Williams camp on this one. Attention all pockets. Many people’s idea of the match of the round here between two players whose previous head to head stats are heavily skewed by best of five Championship League meetings. However if we drill deeper into the stats and take out the minor meetings we find that it’s Judd who holds a commanding lead, with Shaun’s only really meaningful win against him coming over a decade ago in the 2007 World Championship when Judd was just learning the ropes. Since then it’s been largely Judd all the way and perhaps that tells us that the way Shaun approaches the game is right up Judd’s street. I have detected a change in Murphy over the last few months though and if confidence is any pointer to the winner here he’d be favourite, but that head to head record does just place that doubt in my mind and I’d imagine that’s why the bookies make Judd a fairly strong favourite. I’ll be honest, I started writing this thinking of tipping up Murphy, but often you have to go with patterns and that’s when I started having doubts. What I will say is that I think Murphy is a better player now than he was 6 months ago and I’m not sure I’d say the same thing about Judd, so with all that taken into account I’ll take Murphy to pinch it, but not by much. Recommended Bet: Over 9.5 frames in the match at Evens. I always get lambasted on Twitter when I say I don’t really like watching Higgins, perhaps it’s that old British thing of not really supporting winners, but that doesn’t really tally with my admiration for other champions and how they play the game. Sometimes I suppose a player just doesn’t float your boat and that’s Higgins with me. As you’d expect he holds a commanding lead in the head to heads over Ryan Day, who continued his strong recent form with a win over Ding in Round 1. Higgins was at his tenacious best towards the end of the match against McGill and similarly I think Day is a little in awe of John and I can see this match going largely the same way. I expect Higgins to win but given Ryan’s form I can’t see him getting hammered, he has beaten Higgins over similar distances before so it’s not exactly unchartered territory for him and my guess is that he’ll just want to go out and continue to enjoy his rich run of form without worrying too much about the result. There’s been 7 centuries in their last 3 encounters and given the pockets here are playing quite generously, that’s where I’ll be putting my money.